I wish I’d had one of these guys when I was studying for high school anatomy and physiology! 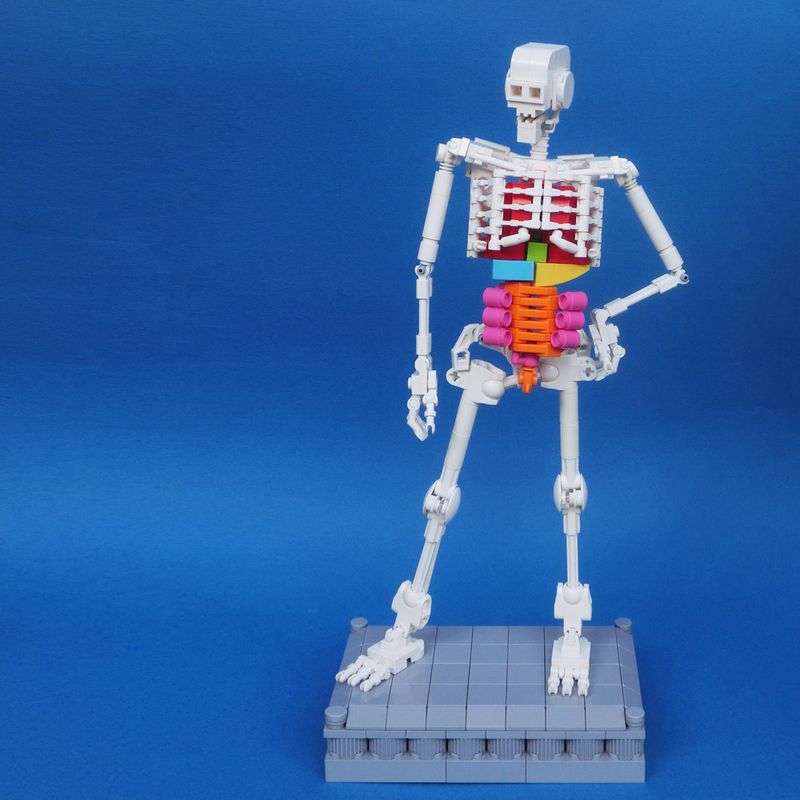 While he may not be one-hundred percent anatomically correct, this marvelous skeleton by umamen comes pretty darn close (actually, I can’t imagine getting much closer with LEGO). He’s got everything that counts including knobby knees, boney phalanges and neck vertebrae, protruding clavicles, a healthy set of lungs, and even a complete digestive tract. And he appears to be extremely poseable. His rib cage even opens for a closer look!